Moving to South Korea could mean moving to either a top tourist or industrial hub, such as Seoul, or moving to a small town. 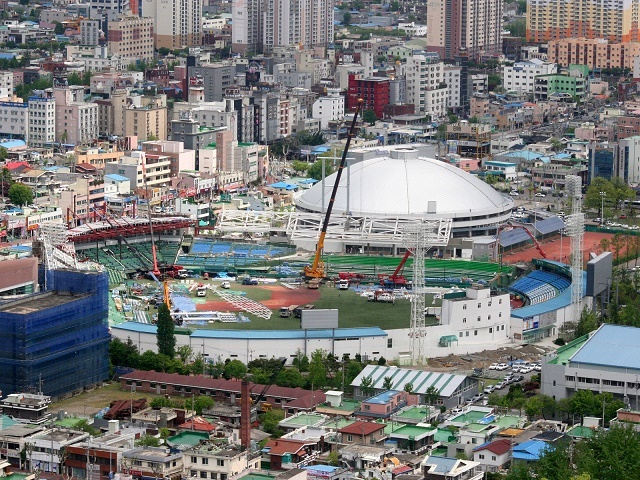 As nearly 20% of the population resides in the Seoul area, this is a more likely option, however. Learn about moving to South Korea early and discuss your options with an international moving company. Dubbed as the “Land of the Morning Calm,” South Korea’s stunning natural landscape is the best escape from the humdrum of city life, endowed with a temperate climate where winters can be relatively cold, and summers are pleasantly warm. The country also experiences a short monsoon period called ‘jangma' in July. It is best to visit South Korea during autumn from September to November or in April to witness the spectacle of flowers in full bloom. Bordered by China in the west and Japan in the east, this mountainous peninsula is located in the northeast of Asia. South Korea covers 99,678 square kilometres of the total land area (223,098 square kilometres). Impressively, South Korea has weathered the economic global storm, its export industry gaining strength. It has steadily climbed its way to the top tiers of economic nations thanks in part to a competitive education system that produces highly educated workers and also by enticing skilled workers from abroad. However, the war has deeply affected this nation and has divided Korea into two separate governments, North Korea, and South Korea. North Korea became communistic while South Korea embraced democracy. Today, the Republic of Korea (ROK), or South Korea, has emerged as the leader in international financing in Asia. It's home to big-name companies like Samsung and LG, who are among the top three manufacturers of televisions and mobile phones, and Hyundai, a leading global auto manufacturer. South Korea boasts a high life expectancy of 78.72 years (Male 75.45 and Female 82.2). Its population is 10,524,877 with a steady increase in foreign migration accounting for 7% of the total population. Expats are willing to relocate knowing that the country has the highest scientific literacy worldwide and ranks second in mathematical literacy. However, language is one difficulty facing any expat, but rest assured that most locals can speak English, as this is widely taught in school. Learn everything you need to know about South Korea in the information below. 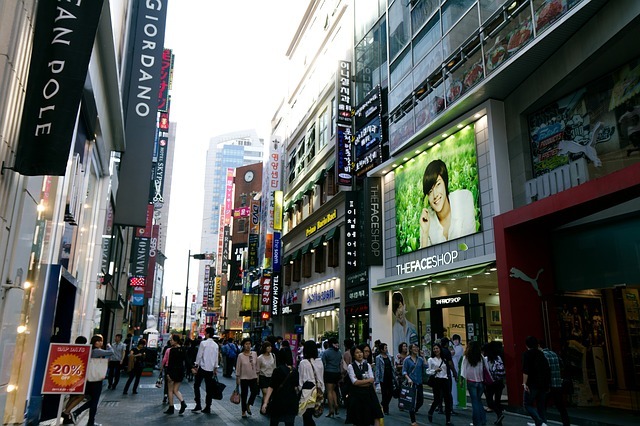 South Korea is one of the top expat destinations in East Asia known for having a strong international influence in pop culture, fashion, and music. Its bustling capital Seoul is considered as the sixth leading global cities in the world with a total population of 10.29 million people living in sky-high, ultra modernised condominiums. Relocating to South Korea has always been an attractive idea to foreign nationals from all parts of the world mainly because of its economic status. This country holds the fourth largest economies in the world and tops in several bullet points in the Human Development Index such as education and health care. According to the latest Bloomberg Innovation Index, South Korea outranked Germany, Sweden, Switzerland and Japan as the most innovative nation in the world. Expats who will relocate to this country are about to witness a progressive society that managed to stay firmly rooted in centuries of rich Korean tradition and culture. Korean Won (₩) is the official currency in South Korea and as of 2007, €1 is equivalent to 1,253 KRW while $1 is around 1,131 KRW. Though foreign currencies are accepted in South Korea, it is still best for expats to bring dollars or euros and convert a sufficient amount of their home country’s currency to KRW before relocating. It can be used to cover immediate expenses upon landing such as transportation going to the hotel or local bank from the airport. ATMs are also scattered across the country, but some machines do not accept foreign cards so expats must look for Global ATMs that can be found mostly in subway stations and convenient stores such as Family Mart. Expats relocating to South Korea have to abide by the country’s regulations on shipping to avoid legal issues. As with any other country, the process consists of document submissions and payment of duties. Requirements include the shipper's passport as well as documents proving he will be staying in the country for at least twelve months. Acceptable documents are work permit, a residence card and an employment certification. All things imported will be declared in an inventory which should indicate serial numbers for all electronic appliances or gadgets, along with an insurance certificate, a Power of Attorney and an address and phone number where the shipper may be reached. All of these documents may be obtained and filled out with the help of any company handling removals to South Korea. Dutiable items are those that are in the shipper's possession for less than six months and those whose values exceed $ 1,500, old or new. All electronic equipment and luxurious items are dutiable, including cars, boats and motorcycles, as well as alcohol and tobacco products. Up to 5 compact discs may be brought to South Korea and for anything in excess, the shipper must write a Letter of Recommendation and obtain approval from the Secretary of Culture and Athleticism to be cleared. Banned from entry are narcotics and drugs without prescriptions, firearms, pornographic materials, replicas of foreign money, meat and fish, any politically challenging or sensitive material and all Japanese-made automobiles. Some items may be accepted with conditions such as plants that must satisfy quarantine requirements and rifles that have to come with a special permit. Removal companies can handle overseas shipping professionally so for those who may not have the time to attend to the requirements personally, movers in South Korea can make the process safer and simpler. This South-east Asian gem is has gained its fame among expats because of its vast greeneries, breathtaking countryside and pleasant climate. Today, South Korea is undoubtedly one of the most influential countries when it comes to music, fashion and cuisine. Be it for work, studies or migration purposes, South Korea has continued to lure people from all over the world making it the 27th largest nation when it comes to population. Its capital city Seoul is characterised by sky-high buildings and modernised condominiums that stand beside ancient temples and palaces. Living in South Korea will not just guarantee a prosperous employment or excellent quality of life but also a glimpse of one of Asia’s richest heritage. Expats are sure to find English speaking locals especially in the central cities such as Seoul where most large and international companies are headquartered. However, there are still a huge number of people particularly in the suburban areas who are not fluent in speaking the universal language so expats who are going to stay for a few years are best to learn even the basic Korean greetings or phrases. How are you? - eotteohke jinaeseyo? The Korean cuisine is considered as one of the most beloved worldwide where almost every country has its Korean buffet. A typical South Korean table is served with rice, vegetables and grilled or raw meat. 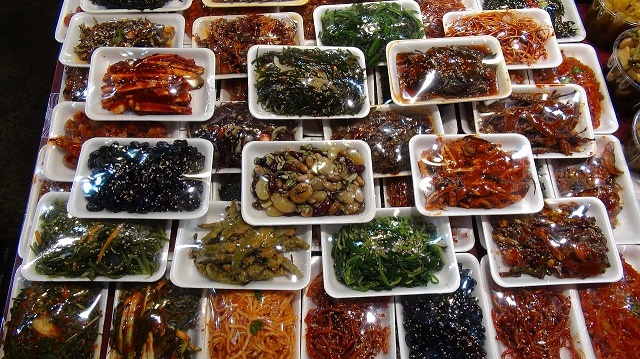 Locals also love banchan (side dishes) which are mostly consisting of pickled vegetables. Some of the most popular banchan are Kimchi (spicy fermented cabbage or radish), doenjang (fermented bean paste) and gochujang (fermented red chilli paste). Expats who want to get to know the local culture can dine in restaurants or better yet, visit some of the famous local food streets. Stalls in these markets several authentic Korean dishes such as Bulgogi (grilled thinly sliced beef), Bibimbap (mixed rice bowl), Japchae (stir fried sweet potato noodles) and Tteokbokki (traditional spicy rice cake). When it comes to the expatriate’s daily needs, South Korea has a broad range of options to choose from. Those that want to get a feel of the local culture thru shopping can go to some of the markets such as the Bangsan Market in Seoul that sells various products in wholesale and the daesong agricultural market in Ulsan where fresh produce and different types of spices are available. Expats who are looking for the freshest seafood can visit the Busan Cooperative Fish Market which is the country’s largest fish port located in Busan. Living a Korean lifestyle makes it possible to boost your savings, depending on the lifestyle you choose. 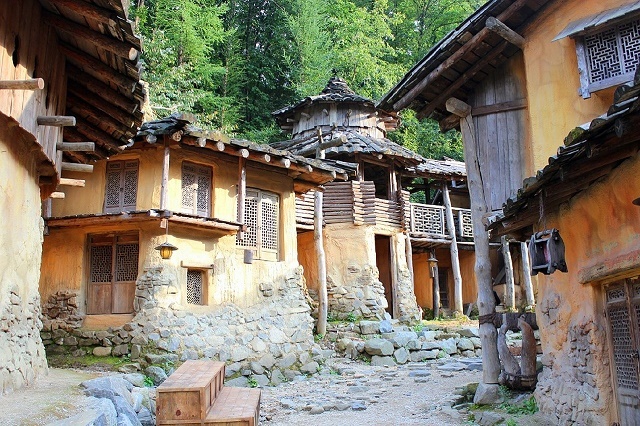 Living in the rural areas of Korea is cheaper than life in the city. Local law does not prohibit expats from buying real estate in South Korea. Foreign nationals need permission from the head of the city, county or ward (depending on the location) before a contract can be signed. A ‘stock company' or corporation needs to be established. Once established, the stock company will buy the property and remit the revenue out of the country through dividends. Expats who want to live in high-rise apartments and townhomes can better focus their search in urban areas like Busan or Seoul. Both are well-populated industrialized cities. The cost of high-rise apartments depends on the location and size but ranges from around USD 650 to 5,000. Most Koreans live in apartments. A typical 5 to 10 storey apartment includes other facilities like a supermarket and a pharmacy. Maintenance fee costs will differ from complex to complex. An elevator and parking space is available per unit. As you move out of the city to rural areas, houses are more common. Normally, villas are bigger and cost from USD 2,000 to USD 10,000. Short-term leases are offered for villas for a period of 6 to 12 months. Employers usually pay housing in advance for expats contracted to teach in Korea. Utilities will be your responsibility. Contract prices differ depending on the period of stay. Serviced residences contracts are for shorter periods, usually for 3 or 4 months. A typical Korean apartment has a kitchen, and an average of 250,000 Won is a reasonable monthly budget for food. Dining in restaurants is reasonably priced; prices range from 7,000 - 12,000 Won per person while dining in rural areas costs more at 3000-5000 Won. Supermarkets and fresh markets sell imported products and supermarkets in Yongsan cater for the expat community's daily needs. The Subway in Seoul is impressive; the journey between each stop is only two minutes. Prices range from 700 Won (inner city travel) to 1400 Won (if travelling to the outskirts). A 20-minute bus ride within the city costs 1,050 - 1,150 Won. Expect to pay between 1300 and 1600 Won per 500 meters travel in a taxi. A vast range of local or imported clothing is available. Like elsewhere, prices vary depending on where you shop. Cheap clothing can be found in Dongdaemun, and there are opportunities to haggle on prices at night. Electricity, water, television and gas costs approximately 70,000 Won per month. A basic cable television package costs 5,000 Won monthly while an internet connection is around 20,000 - 30,000 Won. South Korea implements both national and local taxes. If you're living or working in Korea, you are liable to pay Korean income taxes, most purchases are free of tax, but some goods are subject to value-added tax. South Korea is one of the Four Asian Tigers are known for its advanced and highly developed economy, making it an employment hub for expats and foreigners. Recent statistics shows that the unemployment rate in September 2009 declined to 3.4%, the lowest since December 2008 (3.3). The National Statistical Office (NSO) reported that the boost in employment is credited with the government's job creation efforts in the public sector and the marked recovery of exports. Seoul is the heart of the South Korean business district as it also acts as the center of politics, the economy, culture and international trade/business. English speakers and translators are in high demand, so expats can easily find teaching jobs and work in "hakwons", private institutions for learning different languages. Interested parties can check here and here for opportunities. Personal connections or recommendations are an effective way to get employment in South Korea. Korean newspapers are available through the Internet and newspaper stalls. Job hunters can also attend job fairs held at the COEX Convention Center. Koreans have a rigorous work ethic; their commitment to their work is remarkable, and they believe in developing personal relationships in the workplace. Expats who are not used to this type of culture may find it challenging. By law, since 2004, the maximum working hours per week are 40 hours reduced from 44-hours. Employment contracts vary and allow for some minor adjustments. Work in any given day should not exceed more than 12 hours. The corporate world of Korea is based on hierarchy and promotion is awarded on the basis of seniority. Expats should note that even though English is widely spoken in the corporate world, it is still advised to learn the local language to remain competitive within the labor market. South Korea's minimum wage is reviewed on an annual basis. In 2009, the minimum wage was set at 4,000 South Korean Won per hour. Note that salaries vary significantly depending on the industry and employer. The pay for teaching English in an entry-level position is USD$1,650 to USD$2,200 a month (for 20 to 30 hours). All residents and foreign worker are required by law to pay income tax. These taxes are deducted from paychecks, administered by the employer. It is advisable to keep a record of your salary and tax payments for the duration of your stay in South Korea.